Each edible art creation is hand-made. 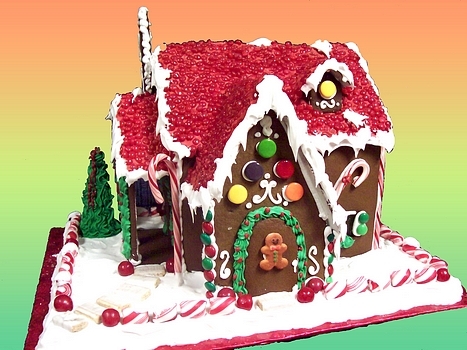 While the design above is the style and size you will receive, no two gingerbread houses are ever the same. Each edible creation is uniquely one-of-a-kind!! The roof will be a Redhot Roof as pictured. Base size: 19" x 15"